Hello, my friends! 2018 is winding down as I look forward to closing out the year on a relaxing note and simply exclaim my thoughts on “Batman: Mask of the Phantasm” and the legacy that’s it’s left 25 years after its release. After that, I’ve made my plans for 2019. As such, here’s what I have in mind for the first half of the calendar year. Back in 2017, RoboCop celebrated its 30th Anniversary. 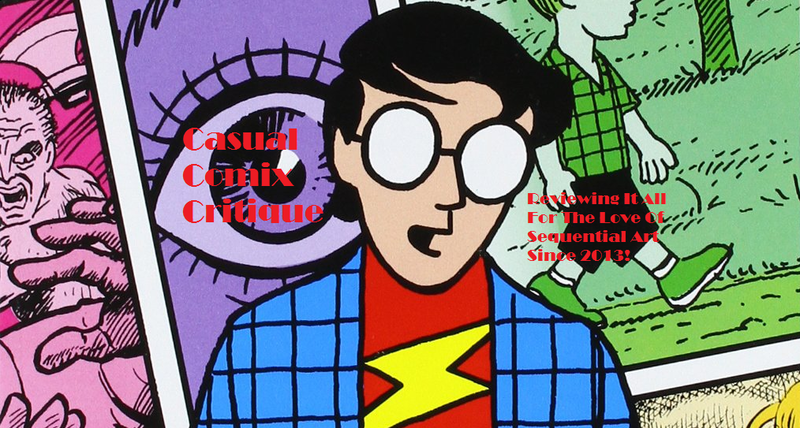 As a result, I made a two-part retrospective on its entire comics run. From Marvel & Dark Horse to Avatar, Dynamite and BOOM, Alex J. Murphy has been through a lot. After I completed this trek, another mini-series saw the light of day. As such, January will see me taking care of some unfinished business as I tackle “RoboCop: Citizen’s Arrest”. By the time February rolls around, its sequel will have already seen its time on the big screen and gotten its home video release. Before I get to that however, there’s one last detail that’s associated with its predecessor and I wish to take care of it before moving on. As such, this month will be dedicated towards reviewing the digital comic tie-in for “The Death Of Superman”. For March, all past Kryptonian business will have been taken care of and I can focus my attention on a four-way fight for Metropolis. Heroism will be resurrected as I tackle the second part of our grand tale titled “Reign Of The Supermen”. April sees the theatrical return of the BPRD’s favorite supernatural-fighting devil. To celebrate his big-screen comeback, I’ll be going back to the days of Ron Perlman, but with an animated twist. This two-part tribute begins with a review of “Hellboy: Sword Of Storms”. Continuing this theme into May, Mike Mignola‘s grand creation continues his animated fight against various otherworldly foes. After dealing with demons from Japan, he and the rest of the core film cast must deal with an ages-old vampire from their past in a little tale called “Hellboy: Blood & Iron”. By the time June rolls around, the DCUAOM should be chugging along as the world’s greatest heroes are set to duel a dastardly team that normally fights in the future. As such, Year 12 of the overall series will continue to chug along as we venture into “Justice League Vs. Fatal Five”. Anyway, that’s what I’ve got in mind to kick off 2019. As we make our way through past, present and future panels, may I continue to share my thoughts and express what’s on my mind. As always, this schedule is subject to change. See you in the new year around the C-Cubed!